Recently, there are some malicious review of Tornado on YouTube. We guarantee that there are a lot of improvements in tornado now, we have replaced better parts suppliers, and each component is guaranteed for one year. You can be rest assured to purchase it!!! Notice1:We collect every customer\'s opinion, and the quality of our product parts has been improved gradually. I hope you can be rest assured to buy our printer. Notice2:German warehouse purchased will get the new TMC2208 driver and other updated parts from China. Russian warehouse have TMC2208 driver. we only use all-metal parts !!!! Our 3D Printer Provides One-year Warranty!!!!!!!!!!!!! Latest update:The motor adopts TMC2208 driver,quiet operation, stable, high print quality. Using linear guide rail as motion mechanism, so it runs smoothly and the noise almost can not be heard. With the rare 10mm wide synchronous belt, the printing accuracy is higher. 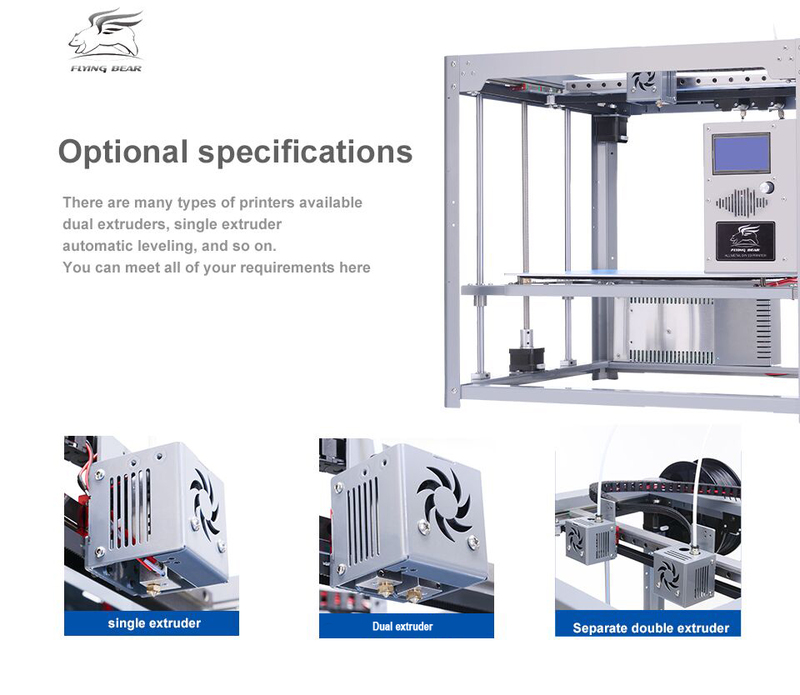 The head of 3D printer can be disassembled separately, so the installation and maintenance are very convenient. Hot bed supported by double Z axis design, so in the process of printing, the hot bed more will be smooth and steady. some countries need to provide tax code, especially in Brazil and Argentina, so after you pay, please tell us your tax code. please make sure that your shipping address is correct, if you provide the wrong address, make the package returned, you will need to pay the shipping charges.